The Space Movement is about more than space: it is about a hopeful future for humanity. You can expect to hear the term Space Movement used more and more as time goes on, not only from the National Space Society, but from anyone concerned with the betterment of humanity and a greater future for us all. Soon after its beginning in 1975, the L-5 Society began to create the Space Movement. L-5 consciously modeled its organizational structure after the Sierra Club, which initiated and became the leading grassroots organization in what is now known as the Environmental Movement. Thus the L-5 Society, like the Sierra Club, was democratic, grassroots oriented, and had local chapters to provide troops. It built coalitions, engaged in the arena of ideas, and lobbied hard for its goals. L-5 strove to be the Sierra Club of space. Many threads generated by other individuals and organizations combined over time to form today’s Space Movement, but L-5 was always the core organization. When L-5 merged with the National Space Institute in 1987 to form the National Space Society (NSS), the new organization took on the role of the Space Movement’s core. While each group has different priorities and short-term objectives, all the organizations in the Space Movement view Space Settlement, broadly defined, as the ultimate goal. Since movements first emerged as social phenomena 250 years ago, they have been growing in significance and impact. The long-term trends of increasing real, per capita income and the spread of democracy worldwide have driven this growth and are likely to do so for the foreseeable future. The media, the public, politicians, and historians all view something to be of greater importance when it is a movement as compared to when it is not. For example, politicians are interested in votes. They watch for commitment, because people who are strongly committed to an issue are likely to weigh that issue heavily when they decide how to vote. People are much more likely to write articles and books about movements than about nonprofit organizations. That’s because movements have a larger impact on society. A movement elicits much deeper commitment from its members. Commitment translates into more donations, larger donations, and more volunteers. People are impressed by commitment. If someone else believes strongly in a particular goal, then perhaps you should take it more seriously as well. Recently, the space community has become concerned about the relatively low level of support for space among America’s youth. Fortunately, youth is the time when people are most likely to participate in movements—something bigger than themselves. Thus, an aggressive effort to promote the Space Movement in colleges and universities could play an important role in solving this problem. 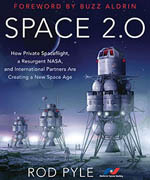 After nearly three years of deep analysis and discussion, during its May 2008 Board of Directors meeting at the International Space Development Conference, NSS adopted a five year Strategic Plan. Building a stronger Space Movement is a key component of that Plan. In order to strengthen the Movement, additional emphasis will be placed on chapter development and grassroots organization. We will not only appeal to people via intellectual argument, but also to their emotions through the use of space art and other media. This is aimed at deepening commitment to the Movement’s goals. The Strategic Plan also includes a campaign to engage youth on college campuses and outreach to non-space sectors of society. NSS will work hard to develop cooperative relationships with other organizations in an effort to build the Movement. A powerful Space Movement is in the interest of all. This article was written by Mark Hopkins, Senior Vice President and Senior Operating Officer of the National Space Society. 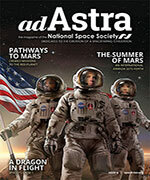 The article originally appeared in Ad Astra, Fall, 2008. For a history of the early space movement, see our online copy of Reaching for the High Frontier: The American Pro-Space Movement, 1972-84, by Michael A. G. Michaud.